Active Shooter Training | Hostage Negotiation can save your life. Therefore, train with us. We offer professional development and training to corporations, educational institutions and law enforcement. Also, private businesses, churches and mosques also benefit from our trainings. First, we provide active shooter training and hostage negotiation training. Second, suicide prevention and intervention training is offered. Third, learn about offender profiling training, psychopathology training and more. In today’s world, with so many mass shootings, know what to look for and how to deter an active shooter. If you work in education, faith based environments, businesses and areas where people congregate, we can help. As a result, active shooter training is essential for preparedness and safety. Next, learn how to analyze the psychological signs of someone who may become violent in the workplace and the best way to de-escalate the person. So, you can bring others to safety. Professional training is available at your location. Dr. Vecchi can present individually or with Lisa Taylor-Austin. Most noteworthy, law enforcement personnel will find great value in Active Shooter Training | Hostage Negotiation with Dr. Gregory M. Vecchi. As a true leader in the field, Dr. Vecchi brings his FBI experience to Police, Homeland Security, Immigration Officers, Probation and Parole and Security staff. Therefore, his training is timely and useful on the job. 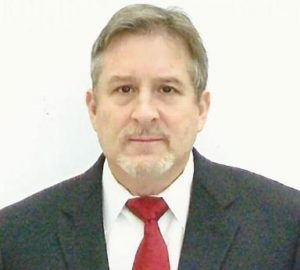 Gregory M. Vecchi, Ph.D., retired from the FBI in February 2014 after 29 years of combined service in the military and as a federal agent. During his career, Dr. Vecchi investigated Russian organized crime, and international drug trafficking. Also, he worked in areas of international and domestic terrorism, and violent crime. Dr. Vecchi was formerly the Chief of the FBI’s legendary Behavioral Science Unit. Additionally, he was a FBI crisis and hostage negotiator. Dr. Vecchi is an Assistant Professor of Criminal Justice at Missouri Western State University. There, he teaches law enforcement topics in criminal justice. His students are both undergraduate and graduate learners. Also, he teaches police cadets at the Law Enforcement Academy at the same university. Furthermore, Dr. Vecchi conducts behavior-based research, training, and consultation. First, his areas of expertise are business negotiation, hostage negotiation and crisis intervention. Second, he specializes in interview and interrogation, deception detection and conflict resolution. Third, he focuses on behavioral analysis, case analysis and investigations, threat and risk assessment. Lastly, personal protection and crisis management are areas of focus. Especially relevant, Dr. Vecchi is published in many of these areas and he travels around the world to deliver consultation and training solutions. Goal: Attendees will understand the motivation of active shooters and analysis of their behavior. Also, developing behavioral signatures for the purpose of prediction and prevention strategies is covered. Target Audience: Law Enforcement, Mental Health Professionals and Corporate clients. Goal: Attendees will learn the application of hostage negotiation techniques and conflict resolutions skills. Hence, de-escalating volatile situations through the management of expressive behavior is explored. Goal: Attendees will understand the structure and process of barricaded hostage and crisis situations. Furthermore, attendees learn how to influence and persuade negotiated resolution through the assessment and management of instrumental and expressive behavior. This is for any professional who wants to learn hostage negotiation. Goals: Attendees will gain understanding and identify unknown offenders. Specifically, the analysis and assessment of crime scene analysis, victimology, modus operandi and behavioral signatures is covered. Goal: Attendees with learn to assess and communicate effectively with suicidal persons to prevent or mitigate suicide. Therefore, loss of life is avoided. Goal: Attendees will learn effective communication with people with mood and personality disorders and assessing dangerousness. 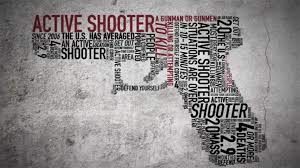 Active Shooters in the USA: In 1999 Columbine High School became known worldwide when two young men entered their high school and began shooting. The world watched in horror. What many do not know is that school shootings have occurred since 1764 in the United States. The 21st century has seen the most school shootings, broadcast live on television and covered in the media. Sadly, Finney High School in Detroit, Michigan; Northern Illinois University in DeKalb, Illinois; and Sandy Hook Elementary School in Newtown, Connecticut became known in our living rooms. Active shooter training could have helped the many victims of these violent events. Shootings in the workplace are quite different from school/mass shootings. On Sept. 14, 1989, Joseph Wesbecker, a disgruntled worker, wracked with rage and mental illness, brought an AK-47 into the Standard-Gravure printing plant in Louisville, Kentucky. As a result, he killed eight employees before killing himself. It’s widely described as one of the first workplace shootings in the United States. Since then, there have been many more workplace shootings. Active shooter training could have helped the many victims of these violent events. Learn the psychological differences between workplace shootings and mass/school shootings from one of the most knowledgeable professionals in the field. Obtain Active Shooter Training to be prepared and curtail violence. Suicide ends the life of one American every 13 minutes. Elsewhere a person commits suicide every 40 seconds. Suicide is the 3rd leading cause of death for 15 to 24 year old Americans (CDC). In addition, African American, Latino, Native American, and Asian American people who are lesbian, gay, or bisexual attempt suicide at especially high rates. Lesbian, gay, and bisexual youth are 3x more likely than straight kids to attempt suicide at some point in their lives (SAVE website). Learn from Dr. Vecchi how to interact with a person who is contemplating suicide and may act it. Learn why some people kill others and then kill themselves. Contact us for more information about Active Shooter Training | Hostage Negotiation and more. Gregory Vecchi, PhD is an independent contractor with The Taylor-Austin Group LLC. Active Shooter Training | Hostage Negotiation cannot guarantee a critical incident will not occur but trains participants to lessen the probability.